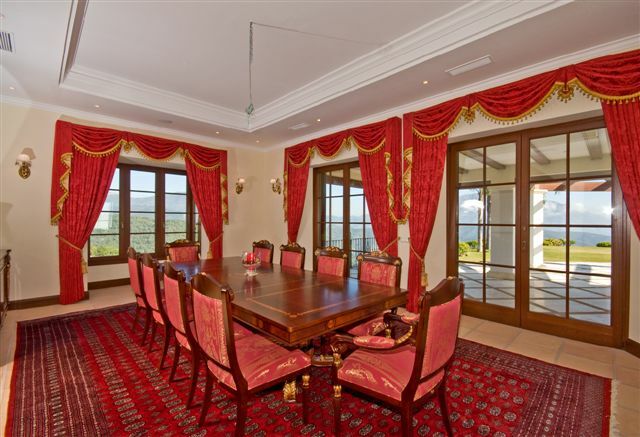 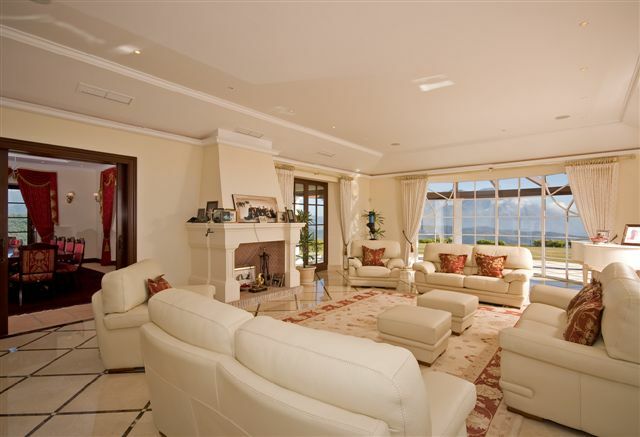 This spectacular hilltop 6 bedrooms mansion in La Zagaleta enjoys breath-taking 360-degree panoramic views of the Mountain ranges, clear coastline views of the Mediterranean sea across to the coast of Africa. 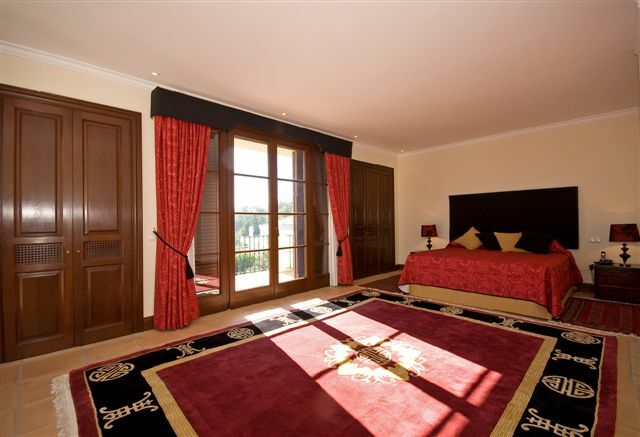 La Zagaleta country club is one of the most prestigious and exclusive residential areas in Europe. 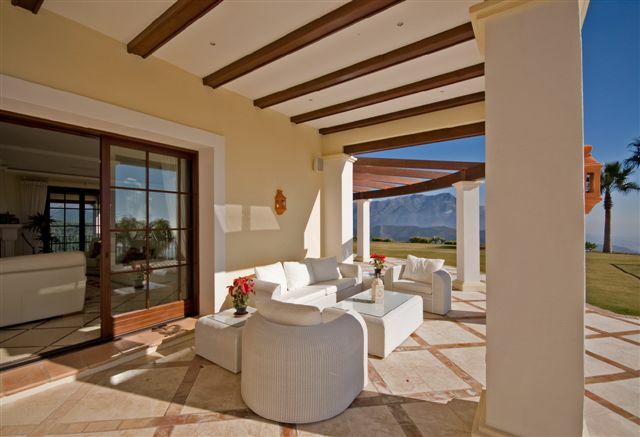 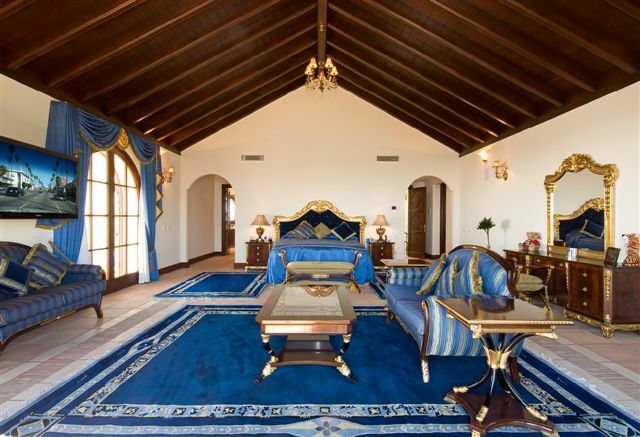 La Zagaleta offers first-class private facilities like Tennis club; Equestrian club; Two private golf courses; Heliport. 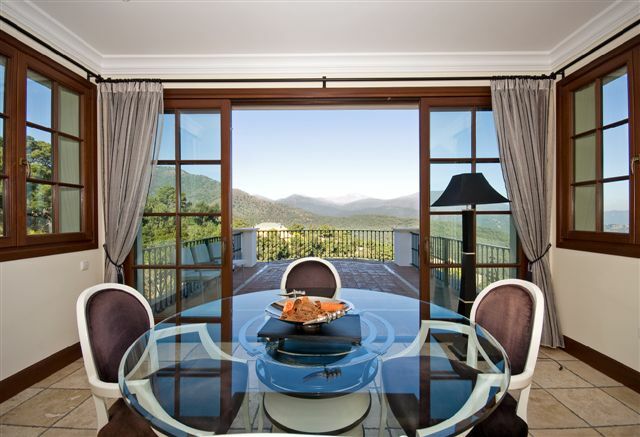 The Main clubhouse offering all essential service; Second clubhouse is located in the hills of Benahavis within 960 hectares of the rural estate where the wildlife is protected, only 300 hectares of this land is built area. 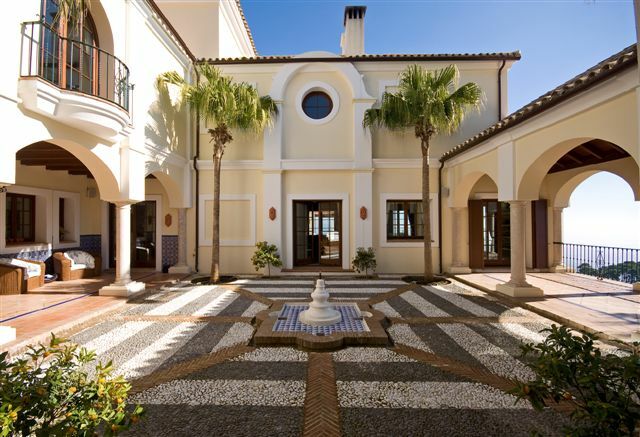 The villa is built in three levels, with vault and beamed ceiling, from the garden and heated exterior swimming pool a staircase with stone arch is leading to the ground level porch and covered terrace with beamed ceiling, the spacious lounge and separate dining area,3 addition reception rooms, the large fully equipped kitchen including a walk-in fridge and a breakfast area and some of bedrooms en-suite. 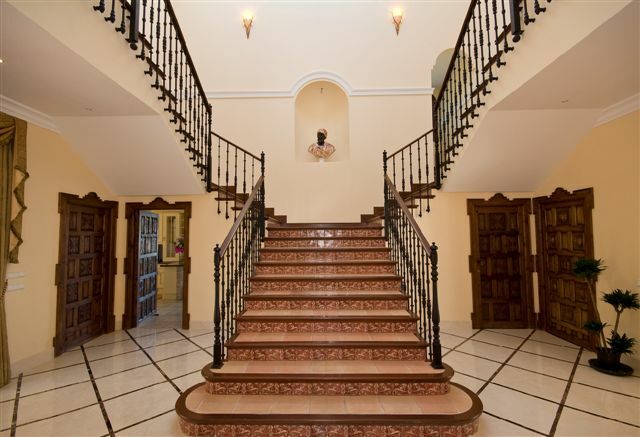 The house consists of a large integral Cortijo courtyard, a grand entrance hall with two stairs one on the right, the other one on the left both joining the upper floor with a glass roof and leading to the others bedrooms en- suite all with private terrace. 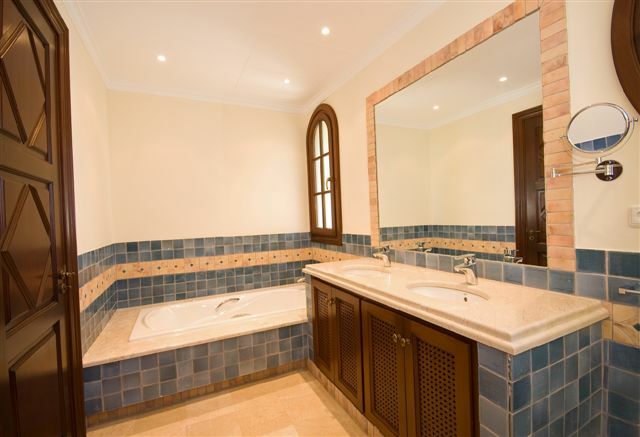 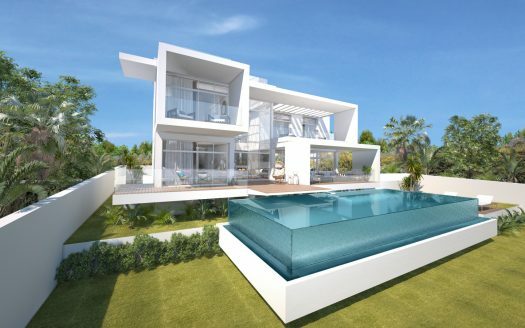 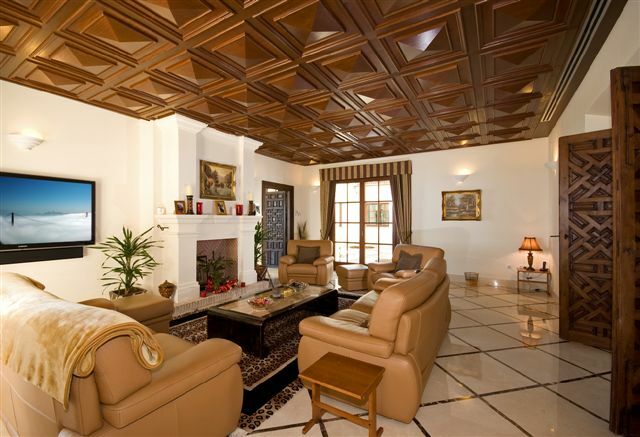 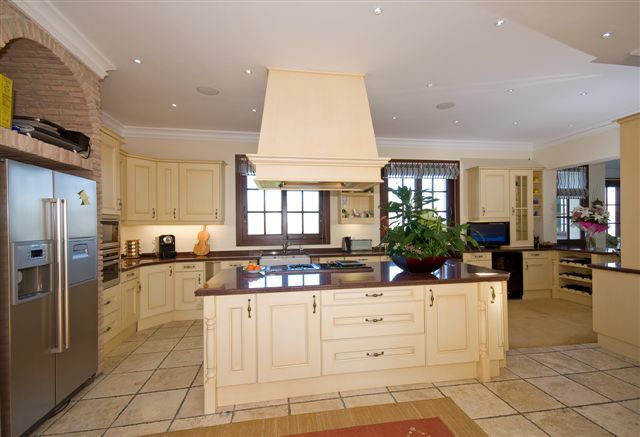 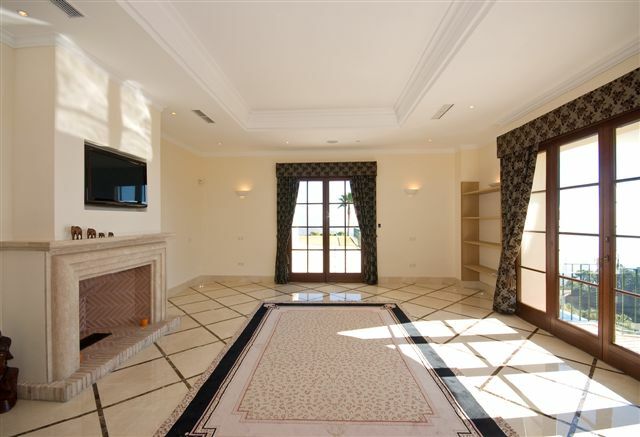 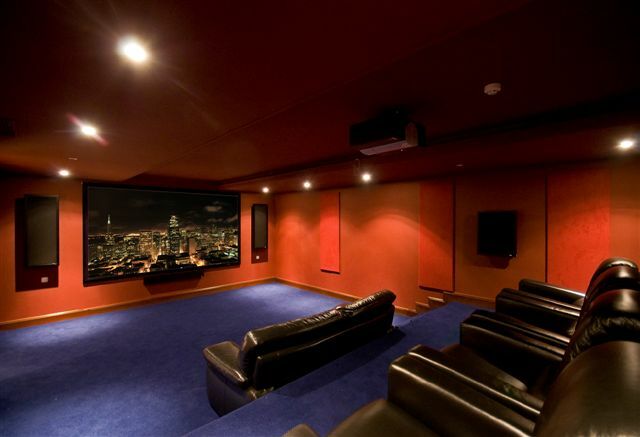 This mansion is built with the highest standard using luxurious marbles flooring throughout,ceramics,terracotta tiles,the best material and offers cinema room,snooker room,gym, sauna,steam room,water tank,oil-fueled underfloor heating throughout and very safe as the urbanization is gated with 24 hours guard and security and include 15 car garage.